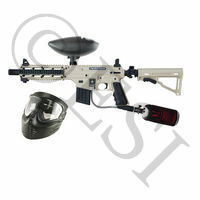 US Army Project Salvo Paintball Gun - Black: This Gun is part of the US Army paintball gun line, made by Tippmann. The Project Salvo is very similar to the Alpha Black (internally, they are the same). 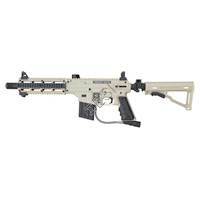 The Project Salvo features an M-4 rifle look. 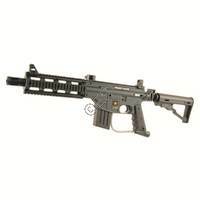 The gun includes a shroud with Picatinny rails and a collapsible and foldable stock. The fake magazine has places inside for storage of repair tools. The Project Salvo is very upgradable. Common upgrades include electronic “E-Grips” for full auto play, red-dot sights and scopes, barrels, and the Cyclone feed. 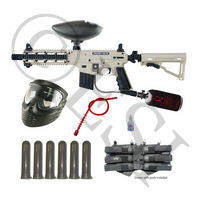 6+1 Paintball Harness: Basic paintball harness that holds you six paintball tubes and your CO2 bottle. A great way to carry your extra balls. Red Pull Through Squeegee: Break paint in your barrel? Pull this through, good as new. 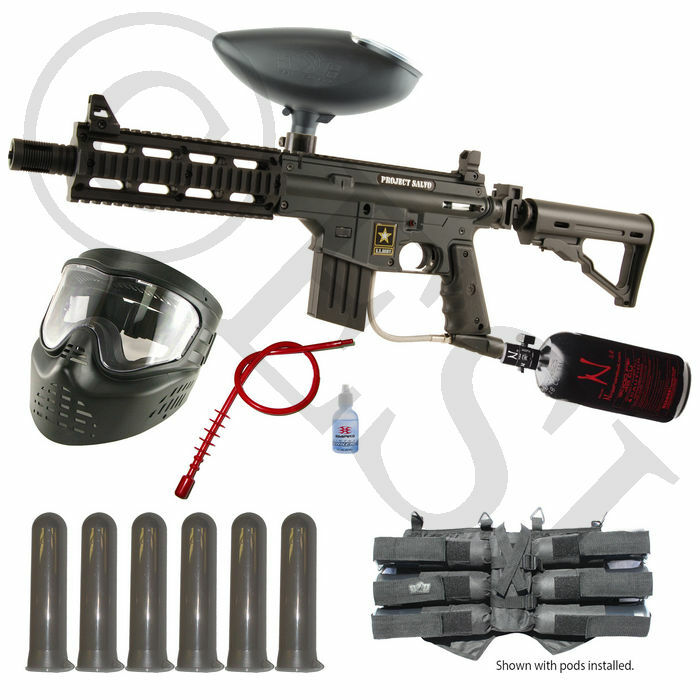 Empire Paintball Oil - 1oz: Standard paintball oil. Size: 1 oz. 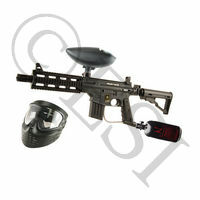 The Empire Paintball Oil is designed for normal “blow back operation” paintball guns. 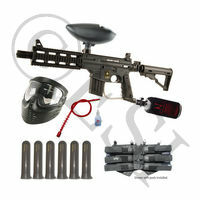 This includes Tippmann 98’s, A5’s, and all US Army paintball guns. Make sure you use the correct oil on your paintball gun. Using non-paintball gun oil can destroy your guns seals. This oil is enough to last a seaon or play or more, so long as you don’t spill it.